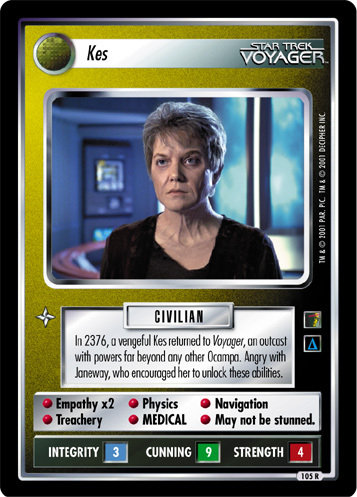 In 2376, a vengeful Kes returned to Voyager, an outcast with powers far beyond any other Ocampa. 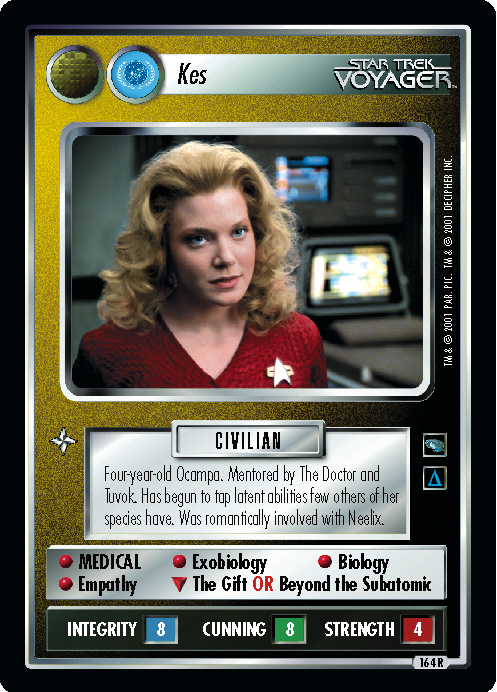 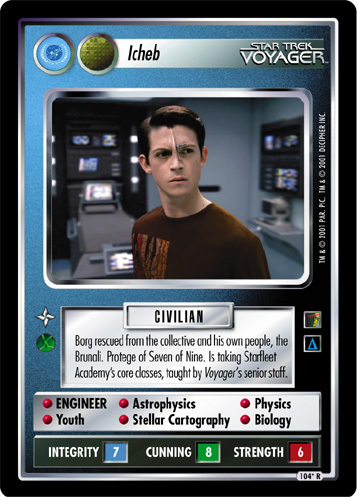 Angry with Janeway, who encouraged her to unlock these abilities. 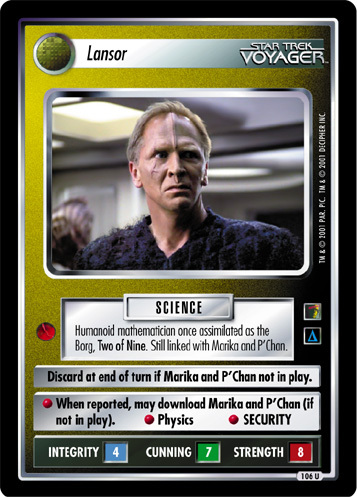 • Empathy x2 • Physics • Navigation • Treachery • MEDICAL • May not be stunned.